Medical cannabis was legalized in another U.S. territory on Saturday after the governor of the U.S. Virgin Islands signed a long-awaited bill into law. 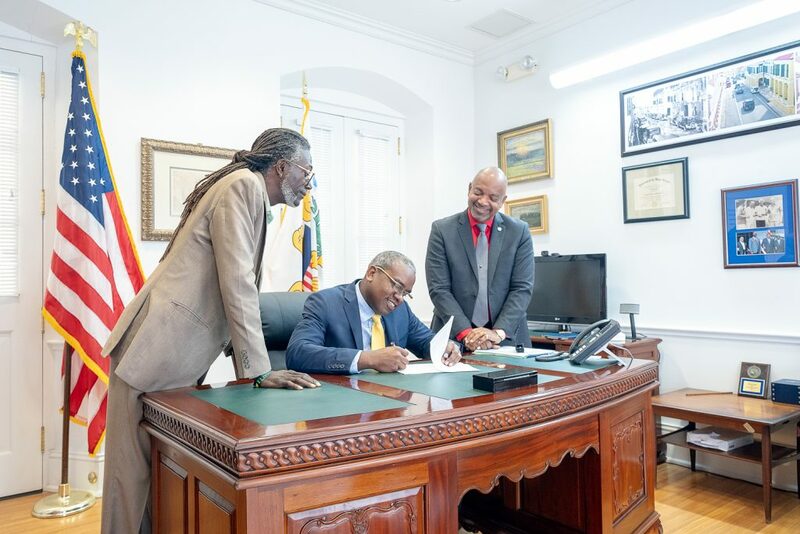 “I have approved the Virgin Islands Medicinal Cannabis Care Act because it is a step in the right direction toward assisting Virgin Islanders suffering from autoimmune and other debilitating medical conditions,” newly sworn-in Gov. Albert Bryan Jr. (D) said in a press release. 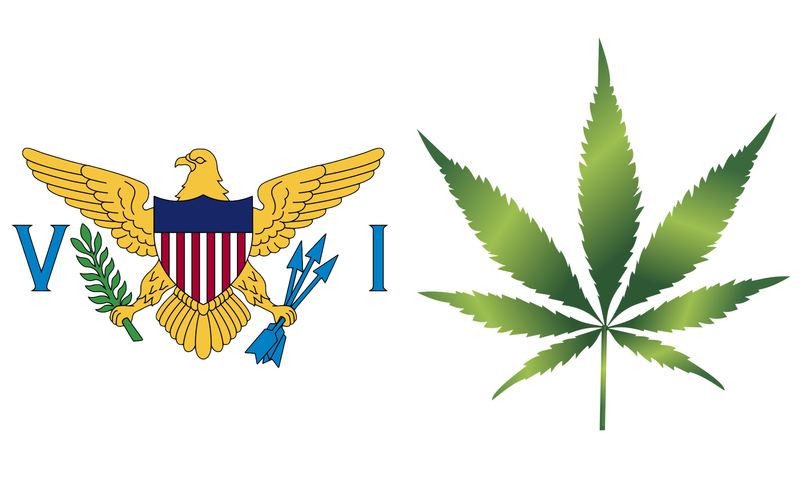 The Virgin Islands Medical Cannabis Patient Care Act allows qualified patients to obtain, possess and consume marijuana for therapeutic purposes. It also establishes legal dispensaries and facilities to cultivate, test and manufacture cannabis products. “After such a prolonged beating, I don’t know how to feel, except relieved for the people who will finally have access to healthy, effective, and affordable medicinal cannabis,” Senator Terrence ‘Positive’ Nelson, who for several legislative sessions in a row has sponsored medical cannabis bills that were ultimately defeated, said in a text message to Marijuana Moment. Photo courtesy of Gov. Albert Bryan’s office. Patients suffering from a list of serious medical conditions including cancer, HIV/AIDS, Parkinson’s disease and chronic pain will be able to receive a recommendation for medical marijuana from a licensed medical practitioner. Qualifying residents can possess up to four ounces of cannabis at a time and possession for non-residents will be capped at three ounces. The legislation was approved by lawmakers last month. “I believe a properly regulated medicinal cannabis industry can provide relief to those seeking alternatives to conventional medicine and can also be an economic driver attracting new revenues for the Virgin Islands,” he said. Revenue from the territory’s medical cannabis program will be used to fund drug rehabilitation, tourism projects, agriculture investments, work training and infrastructure. While reform efforts in mainland U.S. have been receiving significant attention, advocates are also scoring wins in various U.S. territories. For example, the Commonwealth of the Northern Mariana Islands fully legalized cannabis last year, before even implementing a medical cannabis system. The governor also suggested that the new medical cannabis policy may be tweaked going forward. Nelson, the bill’s sponsor, said that he is looking forward to staying involved in the medical cannabis implementation process but that he is also ready to begin pushing for broader marijuana policy reforms. UPDATE: A previous version of this story reported that the legislation was signed on Thursday as told to Marijuana Moment by the bill’s sponsor, Sen. Nelson. The governor signed the bill on Saturday. Photo element courtesy of Wikimedia.